It was common knowledge that the Union nationale government under Maurice Duplessis was prejudiced against unions. 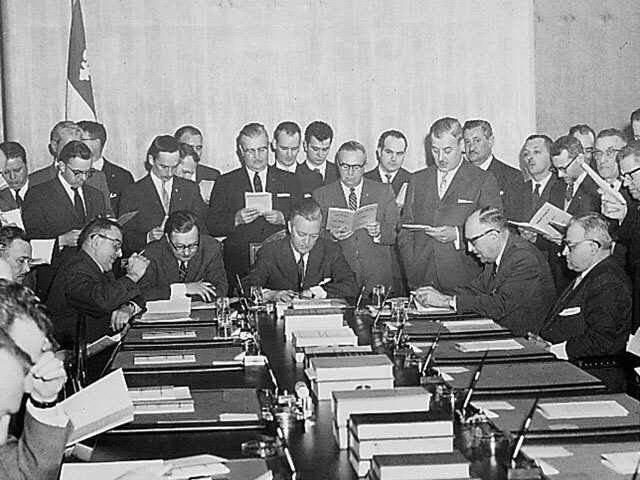 Although consolidated at the close of the Second World War, the foundations of the union movement were challenged at the end of the 1940s and throughout the following decade. 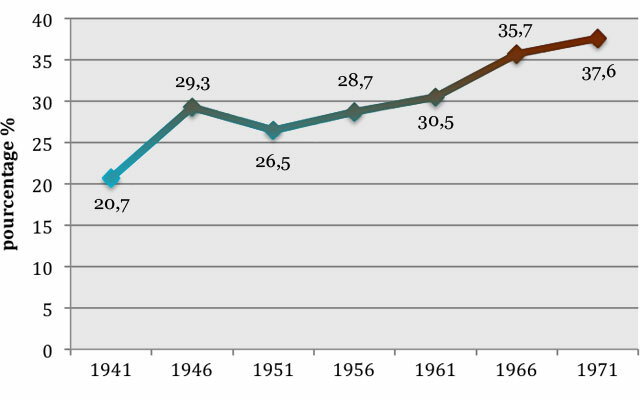 The situation was so difficult that the proportion of union workers among all workers decreased between 1946 and 1951 prior to regaining lost ground in the following years (see Figure). A few of the most terrible strikes of the 20th century took place under the reign of Duplessis: asbestos in Thetford-Mines, Asbestos in 1949, the Associated Textiles of Canada in Louiseville in 1952-1953, and Murdochville in 1957. In each of these conflicts, the trade unions were trounced soundly or made little in the way of gains. Source: Jacques Rouillard, Histoire du syndicalisme québécois. Des origines à nos jours, Montréal, Boréal, 1989, p. 201 and 289. Immediately after the death of Maurice Duplessis, his successor, Paul Sauvé, instilled a new climate, mitigating tensions between the trade unions and the government of Quebec. 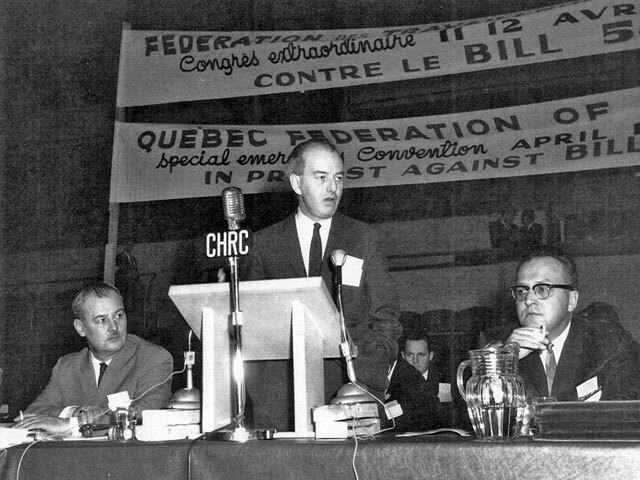 Premier Jean Lesage, elected in 1960, embraced the philosophy advocated by Sauvé. A new labour code was voted into law in 1964, the earlier labour code having been curbed to excess by Duplessis. Under the aegis of the new code, public service workers obtained the right to strike, with the exception of firemen and police officers, something completely unthinkable under the Union nationale. Moreover, unions now had a voice in reforms set forth by the government. Several among them had been long awaited by the unions. Union representatives sat on commissions and advisory committees. Given the context, it is not surprising that the proportion of unionized workers increased substantially (see Figure). After having exceeded the ceiling of 30% in 1961, their numbers increased to 38% ten years later. Influenced by ideas inspired by Marxism, trade unions became more radical in the second half of the 1960s. Consequently, relations between the trade unions and employers and the state deteriorated. From 1966 to 1970, an average 143 strikes and lockouts took place each year, primarily in the public and parapublic sectors. 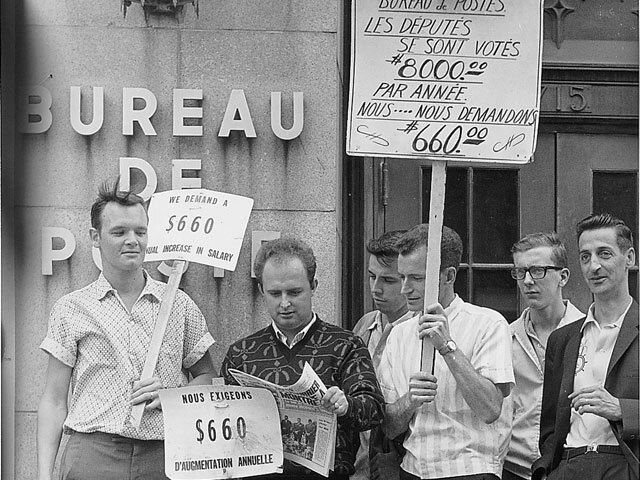 In 1966 alone, the Syndicat des fonctionnaires du gouvernement du Québec (civil servants union - 25 000 people), the 32 500 hospital workers in Quebec and 2 300 professors at normal schools and agricultural and technical schools threatened to strike. 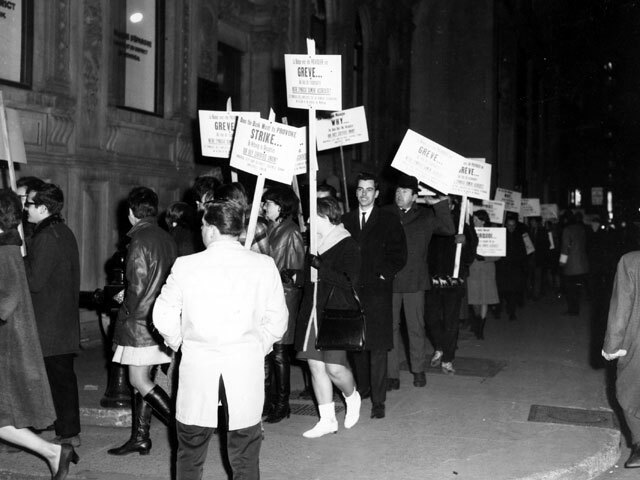 However, only 1 800 civil service professionals, Hydro-Québec engineers and construction workers went on strike. 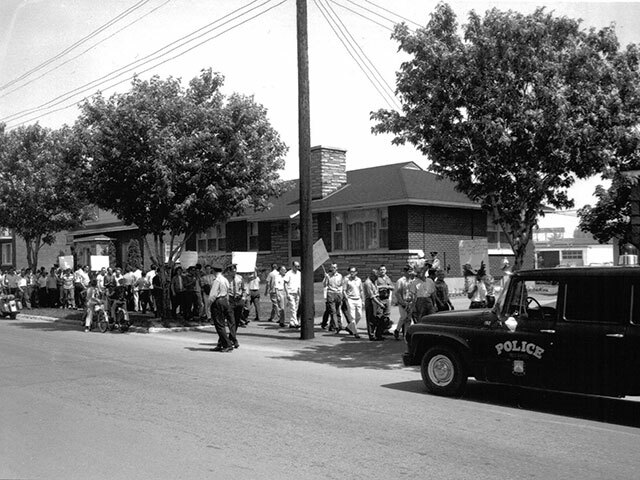 Throughout the 1970s, unionism in Quebec continued to move forward before experiencing a setback in the context of the crisis at the onset of the decade between 1980 and 1990.